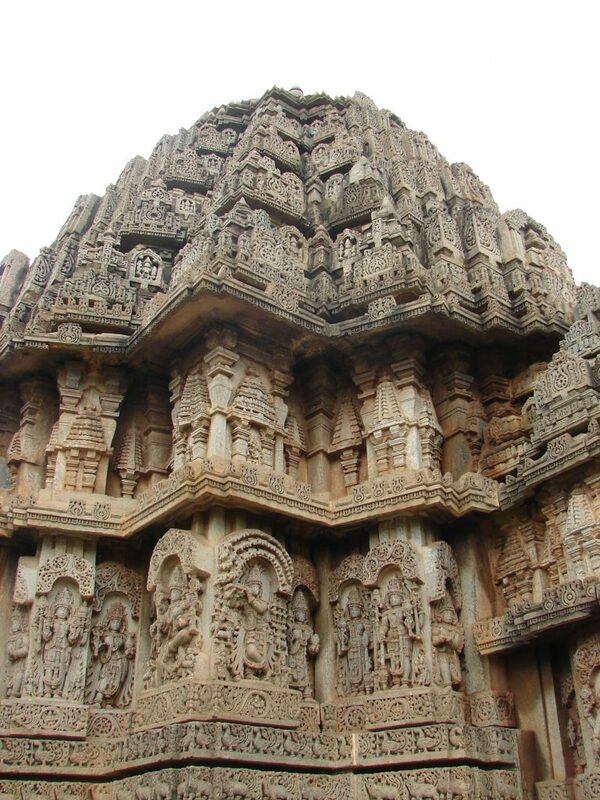 Hoysala Architecture - GoUNESCO - Make Heritage Fun! 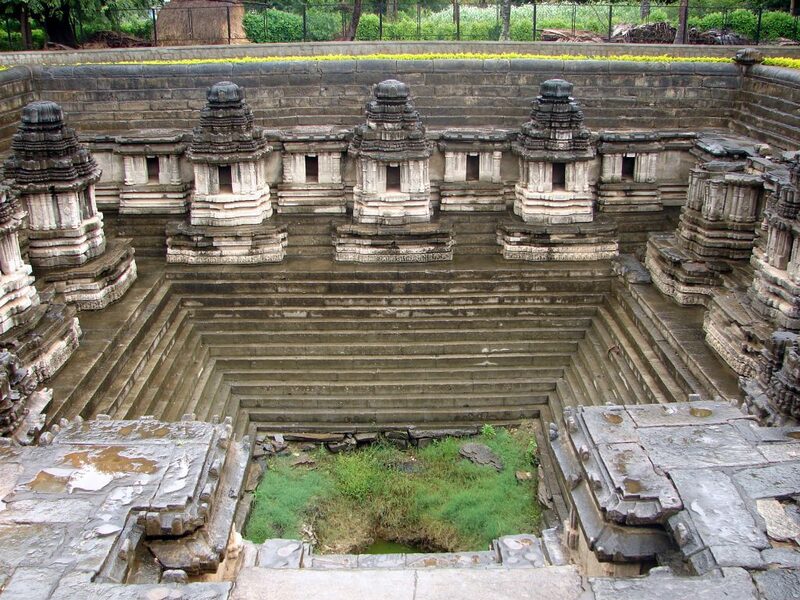 Hoysala Architecture is an architectural style that was developed by the Hoysala Empire between the 11th and 14th centuries, particularly in the region now known as Karnataka, India. The rulers of this time period were from Malnad, Karnataka. The empire was prominent from South Indian Kannadiga Empire. 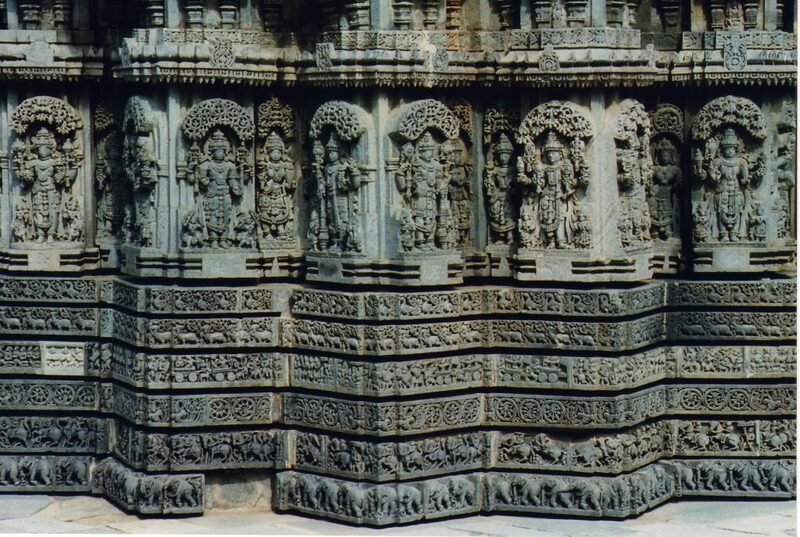 The Hoysala Era was pivotal to major advances and development of art in the kingdom. 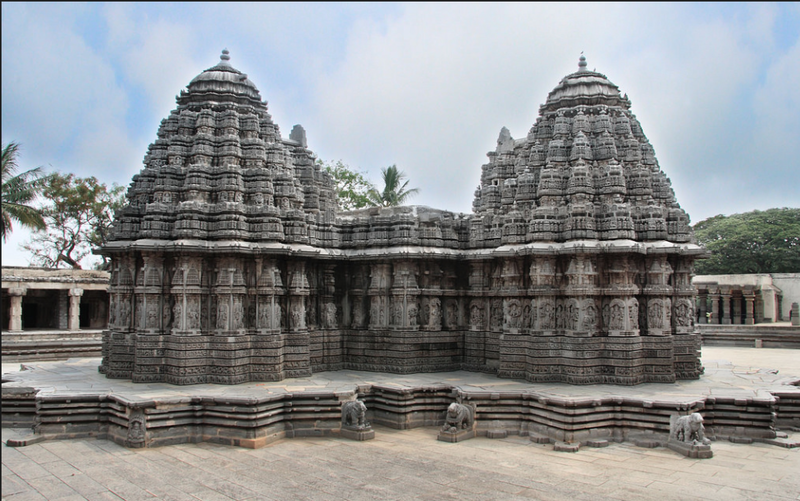 The capital of the Hoysala Empire was first Belur, and was later moved to Halebidu. The exact time period of the Hoysala Empire was 1026-1343. Perhaps the most notable feature of this Empire was its Temple Architecture. The emperors encouraged fine arts and literature in Sanskrit and Kannada. There are many large and small temples that fall into this architectural style namely Chennakesava Temple at Belur, Hoysaleswara Temple at Halebidu and the Kesava Temple at Somanthapura. There are many mainly three major elements of Hoysala Architecture, which are the ‘‘Mantapa’’, ‘‘Vimana’’ and the ‘‘Sculpture’’. 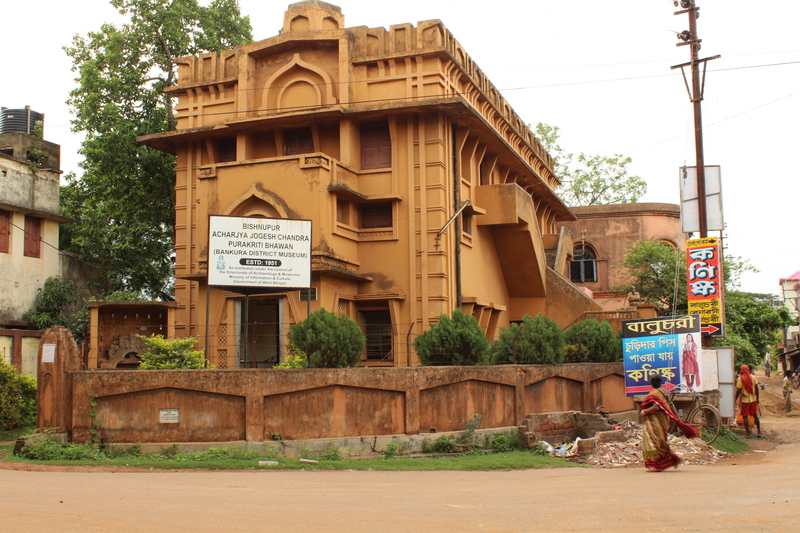 The ‘‘Mantapa’’ is basically a hall where groups of people used to gather for prayers. 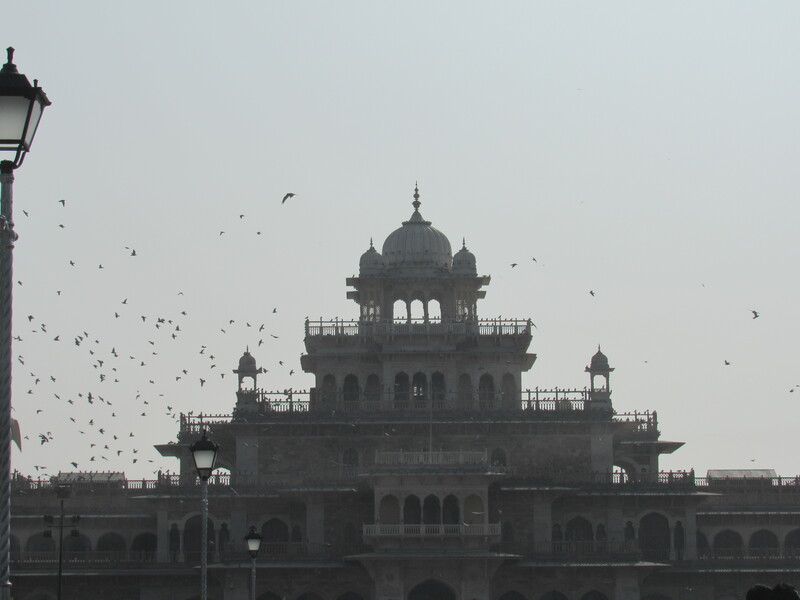 There is a usually a highly ornate overhead lintel called the ‘‘makaratorana’’. This can be broken down to two words, makara – an imaginary beast and torana – overhead decoration. In cases when the temple is small in scale, a closed ‘‘Mantapa’’ can be seen. It is enclosed with walls extending all the way to the ceiling and the shrine. The closed ‘‘Mantapa’’ is decorated inside and outside. The ‘‘Vimana’’ is the point where the most sacred shrine is present. It is almost a certainty that the shrine has a tower above it totally different from the outside than on the inside. On the inside it is very plain and squared where on the outside it is decorated intricately either star-shaped or staggered square, or in a combination. 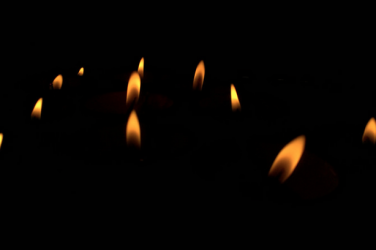 The profound outcomes are the projections and recesses that seem to amplify and multiple the light that sheds on it. Ornamental elaboration and profusion of iconography were the major sub-elements of the art of Sculpture. These two notions are seen in major abundance when talking about the superstructure of the shrine. 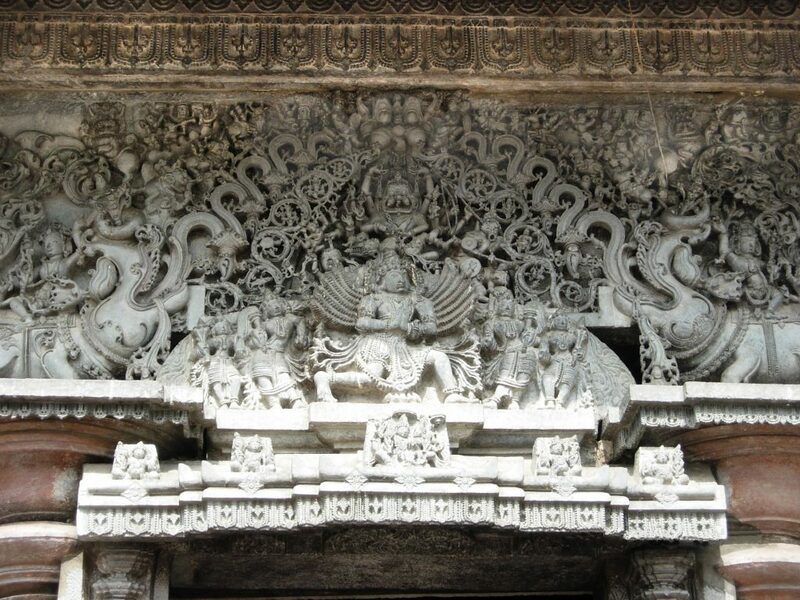 Hoysala artists are notable for their sculptural detail that involved ‘‘yalli kirtimukha’’ (gargoyles), ‘‘aedicula’’ (miniature decorative towers) on pilaster, ‘‘makara’’ (aquatic monster), ‘‘hamsa’’ birds and spiral foliage and animals such as lions, elephants and horses. Surveys go on to say that there are almost 1000-1500 structures that were built by the Hoysalas from which a mere hundred survive today. Famous for its intricacy and sculptural detail, the Hoysala Empire and its Architecture has also featured in media and console games such as Unchartered: The Lost Legacy.